How do I embed an Office365 calendar? We use Office365 and have all our calendars on there. We'd like to embed the shared calendars in FrogLearn pages. Is this possible? I've created a site I need to share with senior leaders. I'd prefer to send them the link directly, but when they click it, they are taken to a login page which doesn't allow them to login. How to I embed an Instagram feed? 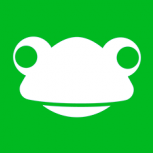 We'd like to embed a feed from Instagram into Frog - is this possible? How do I set Frog up to send me notifications via E-mail? I would like to embed a Facebook page into Frog, is there a way that I can do this? I'd like to use the Image Carousel for a gallery, but there seems to be no quick way of uploading in bulk. Do I have to send image one by one from FrogDrive? I'd like to hide these days from the attendance widget, but there isn't an option. Is there any way to do this? Hi, I want to link an image (or file) to my widget, but I can't get the web address when I upload it. I keep finding teachers have created templates instead of sites, because they automatically check the Create Template checkbox in the site creation wizard. Is there any way to hide this? What's the best size for a login background? I want to change the login background. I know I can do this in System Preferences > Login background, but what's the optimum resolution? What's the best size for a banner with the default template? I'm trying to design a banner for the default theme, but I'm not sure what the correct resolution / size should be.